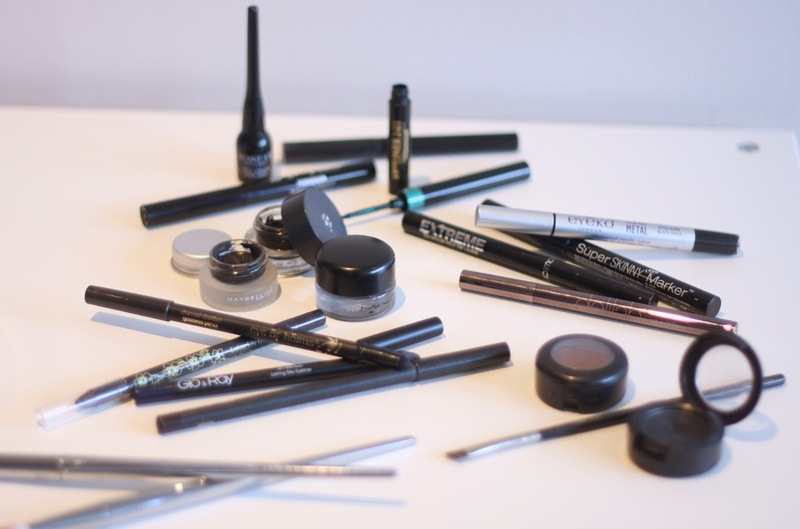 GOSH has a fabulous range of makeup at very affordable prices – I am a fan and known to have a few of their products in my makeup bag. 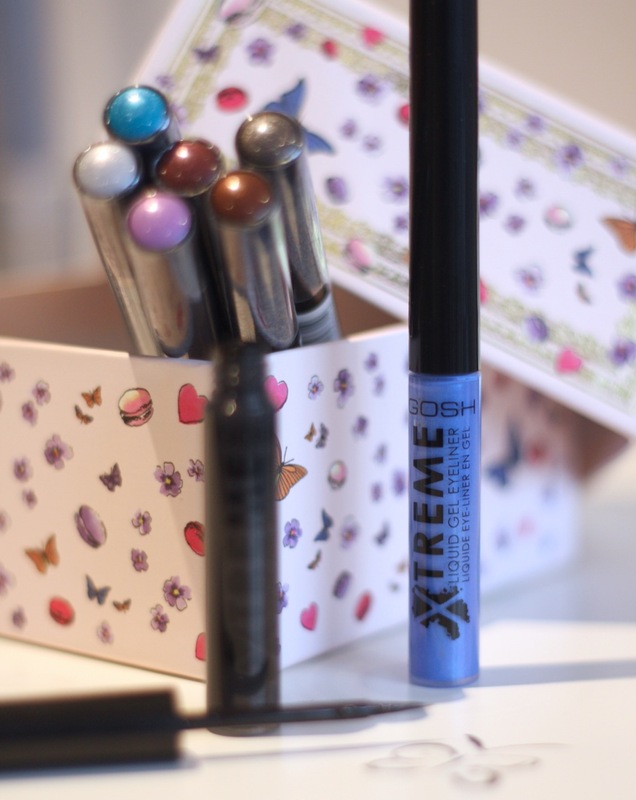 The Xtreme liquid gel eyeliner is another one of their gems – and it comes in many colours! Admittedly, I am an eyeliner junkie. I cannot remember when was the last time I left the house without wearing it. I am a huge fan of feline flicks – sometimes smaller and discreet, sometimes, big and bold – regardless of the style, the eyeliner is always there. Oh-so-pretty. That really sums up how I feel about these liners. 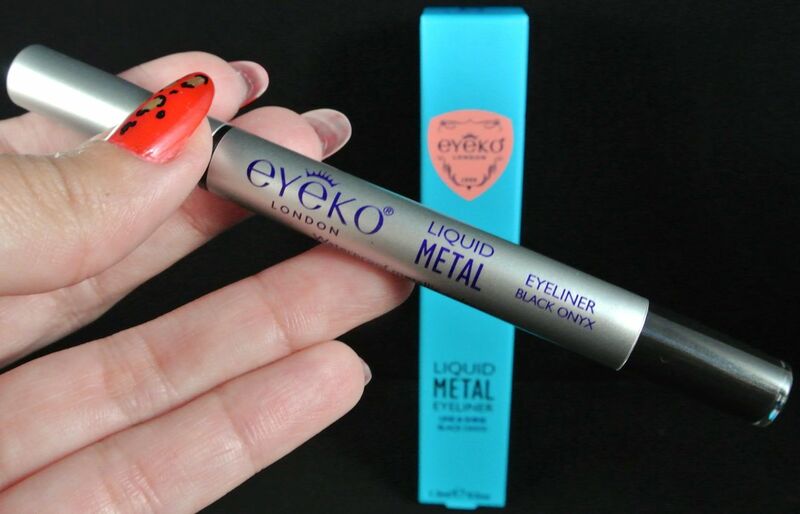 The Eyeko Liquid Metal eyeliners in Black Onyx and Rose Gold and simply gorgeous. The packaging is very nice, pencil like, with a “barrel” at the end where you can see the liner’s beautiful colour. Black Onyx is a wet look black with a slight silver shimmer and Rose Gold is what is says on the tin, a bright, metallic gold with a rose hint – to be honest, it was more yellow than I thought! To start applying, rotate the barrel and soon the fine “hair” fine brush is permeated with colour. 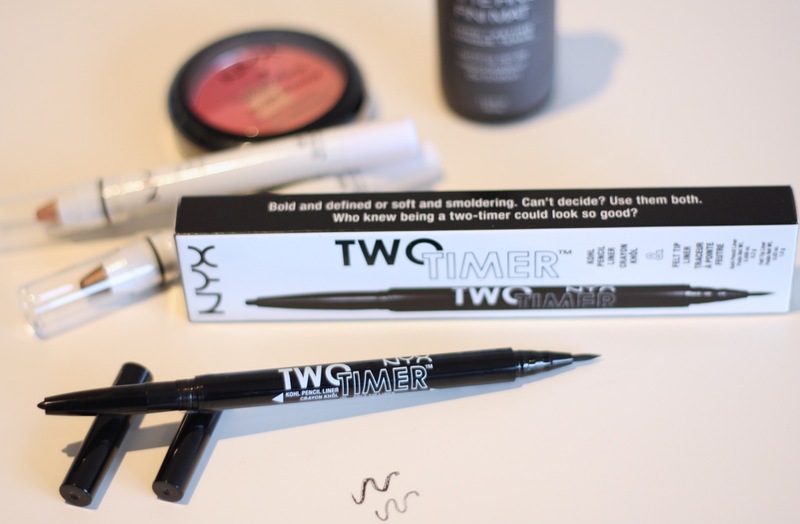 The brush is not hard, so a little bit of practice is required if you are not used to applying your liner with a normal eyeliner brush! Be careful though; rotate it ever so slightly not to waste the precious liquid! The texture is very light and quite runny, so to create delicate lines, a little bit will do; the colours are very saturated. I went over the lines a second time after it dried, to exaggerate the effect! It was fairly easy to work with and didn’t irritate my eyes (which are very sensitive!). And boy, they shine. Instead of swatching on my hand, I decided to go all out on a super lined eye and it looked beautiful. It doesn’t dry to quickly but it doesn’t take too long either, so it is important to be careful with transfer to the crease, to the upper lid, to the lower lash line (in this design case!). I barely used anything else on this eye make-up and I am in love with it. It lasted well and after it dries it won’t move. It was fairly easy to remove with a good eye make-up remover though! I am now addicted and so glad these beauties came my way! 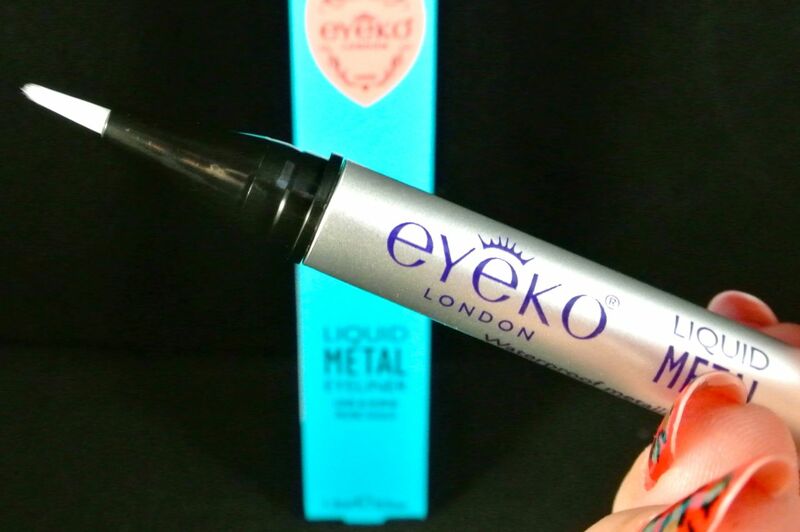 You can get these stunning eyeliners from the Eyeko website – keep an eye out, as they are launching a collaboration with Alexa Chung soon!